Wandsworth is a district of South West London within the London Borough of Wandsworth. Wandsworth is named after the River Wandle and appears in the Domesday book of 1086. It can be reached by car via the A3 and A214. Wandsworth has good public transport facilities. The closest railway stations are Wandsworth Town, Wandsworth Common, and Earlsfield. Lanes School of Driving first opened its doors in 1914. Starting from humble beginnings, Lanes has grown through the years as its reputation spread. Today Lanes is well established as a provider of driving instruction of the highest quality. At Lanes, we recognise that each pupil has their own strengths and weaknesses. Accordingly, courses are tailored to suit. Intensive driving courses are available for faster progress. Theory lessons are offered either as part of a practical course or as a separate course. Pupils who have passed their driving test are offered further lessons to improve their skills. Lanes offer after pass courses such as: Motorway Driving, Parking Skills, Advanced Driving and Pass Plus. Lanes understands that pupils often have busy lives. At Lanes, pupils are given great flexibility over the timetabling of their lessons. Weekly lessons can be booked as can single on-off lessons. Lanes is committed to giving pupils instruction on a one to one basis with their instructor. In our experience this allows the instructor to focus on one pupil at a time. Lanes has a selection of up-to-date cars for our students to enjoy. Pupils can be collected prior to the lessons and dropped off home on request. 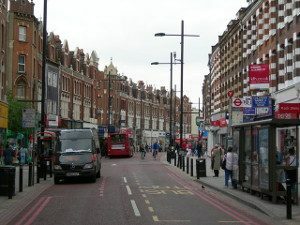 Lanes have been providing driving lessons in Wandsworth, London for many years. Please call us today on 020 8166 5678 or click here to send us an email via the contact page. We have over 40 experienced instructors at Lanes. This gives pupils the choice to pick the instructor who best suits their driving style. Our instructors have taught pupils from ages 17 to 70. They will be happy to reassure nervous pupils. All Lanes’ instructors are qualified Approved Driving Instructors registered with the DSA. Each pupil will retain the same instructor who will be familiar with their particular sticking points. Lanes have a team of driving instructors in Wandsworth, London. Please call us today on 020 8166 5678 or click here to send us an email via the contact page. Pupils can be very anxious about sitting in the driver’s seat for the first time. Female pupils can be particularly worried about having to share a car with a male instructor. To avoid this, Lanes gives females the option of selecting one of our female instructors. Our female driving instructors are gentle and good humoured. They ensure that students can learn in a relaxed atmosphere. Lanes have a selection of female driving instructors in Wandsworth, London. Please call us today on 020 8166 5678 or click here to send us an email via the contact page. Some pupils ask to learn in an automatic car. Experienced drivers may prefer the greater control afforded by manual cars. Nevertheless, beginners can find manual driving too challenging to start with. Automatic cars do away with the complexities of gear changing and clutch control. It is often the case that pupils learn faster in automatic cars. Lanes have a selection of automatic driving instructors in Wandsworth, London. Please call us today on 020 8166 5678 or click here to send us an email via the contact page.